In a generation obsessed with fitness and well-being, there are many stigmas surrounding weight-loss. From fad ‘holiday’ diets to the right kinds of exercise, many people are looking for quick-fire ways to lose the weight for good… and fast. That’s not the way being healthy works and can, in fact, do more harm than good. Which is why we thought we’d discount the rumours and help you on the right path to a healthy, sustainable fit lifestyle. Walk through any supermarket these days and you’ll see ‘low fat’ labelled foods in every aisle. Whilst this isn’t necessarily a bad thing, cutting out all fat from your diet isn’t the way to go. Eating a healthy amount of fat will satiate you for longer; give your body the energy it needs to run all day and actually could help you lose weight. How? Eating fat doesn’t make you fat. In fact, your body needs a mix of fat, protein and carbohydrates to live and thrive! What’s more, many ‘low-fat’ options are, instead, full of sugar to help boost flavour which can do more harm than good. Again, visit your nearest supermarket. First pop into the aisles you’d usually visit. Look at the prices of biscuits, ready meals, sweet snacks and wine. Now head to the raw fruits and vegetables; meats, legumes, grains and nuts. Take note of how the prices are quite similar, if not lower. Healthy eating just means being conscious of your food and it gives you the chance to experiment with tasty homemade cooking! It doesn’t have to break the bank and you’ll often make more of from money by cooking fresh, homemade meals that can be frozen and saved for busy evenings or last-minute lunches. What are ‘carbs’ in terms of food? You may instantly think pasta, pizza and bread. However, carbohydrates are in almost everything you eat. From vegetables to nuts, chocolate to fruit; you’ll find them everywhere. Eating excessive amounts or insufficient amounts of any food isn’t good for you, but you need to start thinking of carbohydrate, proteins and fats as essential parts of your diet rather than things you can cut out for a quick-fix. 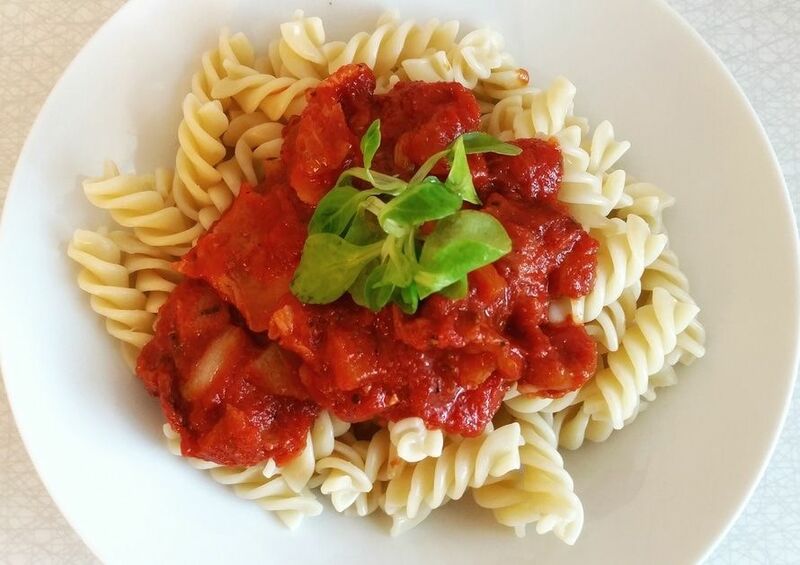 Instead of completely ditching carbohydrates, make smarter choices instead such as opting for whole grain bread or brown pasta. Swap your mashed potato for sweet potato and instead of tucking into a bowl of sugary, carb-heavy cereal in the mornings, choose organic porridge oats instead. It’s about eating the right carbohydrates to keep your body energised and fuller for longer, not ditching them altogether. Having too little food is just as bad as having too much; if not, it’s worse. It’s all about balance. You’ll have heard the phrase “breakfast is the most important meal of the day” before and it’s true! 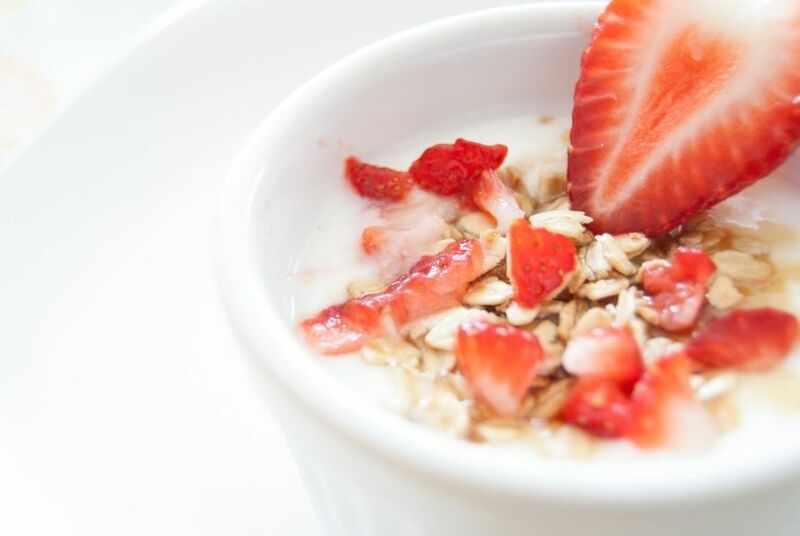 A good, filling breakfast kick-starts your metabolism and gives you an energy boost to start the day. Perhaps, if you’re eating toast and spread first thing in the morning or tucking into sweet pastries, switch it for a rye bread slice and some avocado and cream cheese, or fruit, oats and greek yoghurt. Studies show that those on a diet who skip breakfast actually lose less weight than those who fill up first thing in the morning. You’re much less likely to snack and graze during the day if you keep up with three wholesome meals. Whilst organic, healthy foods are naturally better for you, completely ditching all processed goods can be damaging to your motivation and new lifestyle. We encourage you to eat what you like to eat in moderation and you’ll be absolutely fine! Restrictions are the biggest killer of diet change. We bet you or a close friend have said this before. Weight lifting in fact helps your body to look more toned, not bulky. The cross trainer or the treadmill may help you burn calories and fat overall but it won’t target specific areas of your body. Plus, after weight lifting your body will carry on burning calories, whereas once you step off of that treadmill, your exercise is done! Start by lifting light weights with high amounts of reps and stick with it for a few weeks – we promise you’ll see great results! We hear this myth a lot. The old “I won’t go to the gym today as I’ve only got 30 minutes to spare” excuse. But that’s great! Whether you do a 20 minute workout or an hour workout, you’re still achieving progress. Progress is progress, no matter how small. Plus, any exercise releases endorphins which will make you feel great throughout the day! 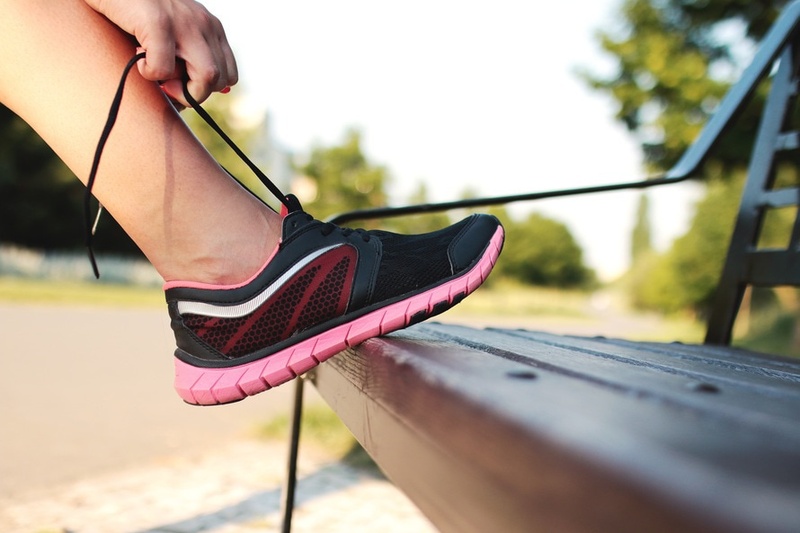 Want to get kick-started with a healthier lifestyle? Get in touch with our personal trainers; they’ll review your nutrition, health and exercise plan to get you started!